I’m back tracking a little tonight to record on the blog our ‘maiden voyage’ camping trip with Karen Camper! The week after we brought Karen just happened to be the start of the September school holidays so we made a snap decision that we would take off for one night away camping to test out the camper and kick start the school holidays (yes – this is the trip we did without a brake controller – eek! See this post if you’re not sure what I’m talking about). We roped Ben & Amy and the kids into coming along with us to celebrate our very first adventure. 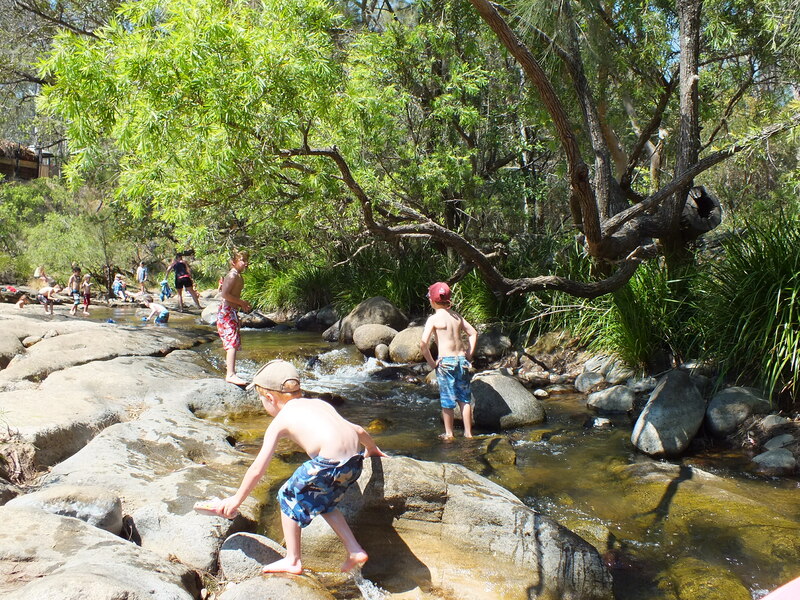 As we were only heading away for one night we wanted to go somewhere close so we opted for Flanagan Reserve http://www.flanaganreserve.com.au. 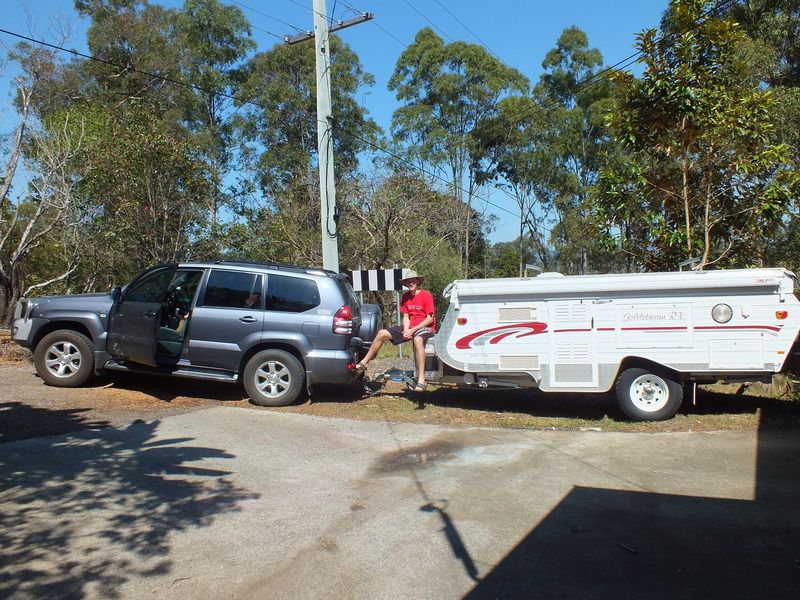 Flanagan Reserve Bush Camp is less than two hours from Brisbane, out past Beaudesert on the banks of the Logan River and you are able to take dogs, so Jerry got to come with us on this trip too! 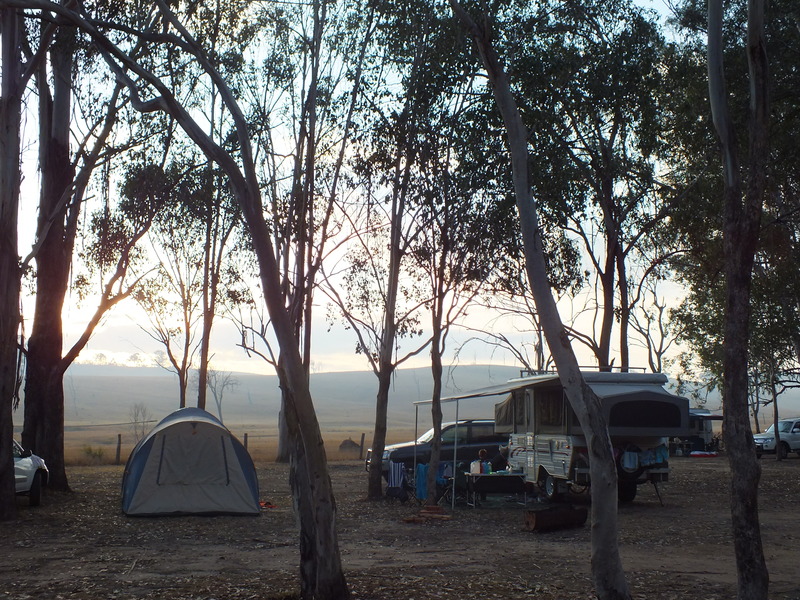 It was a nice spot but the campsites were a bit too dusty for our liking. 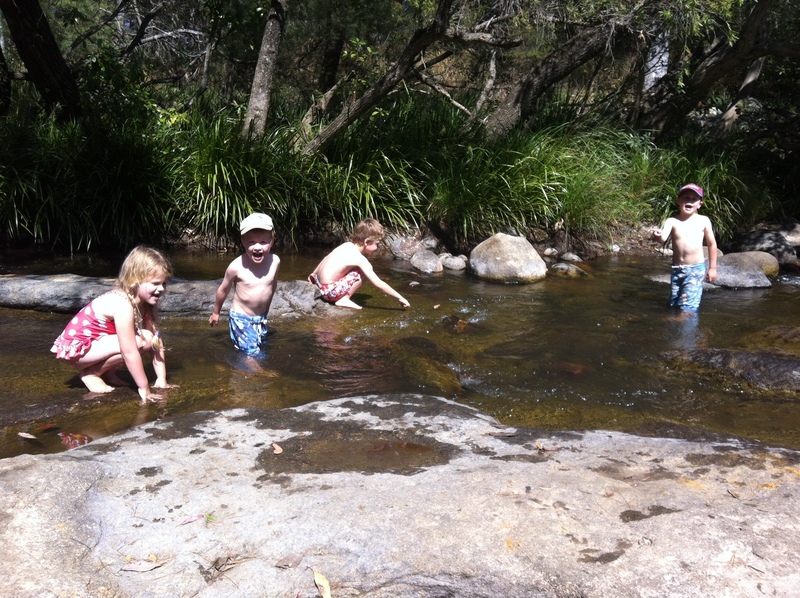 The camp ground is large though so we got to spread out and not have neighbours right beside us and the kids loved playing in the creek! There were toilets and showers (coin operated) and you could have your own campfire which was great as it was quite cool even at the end of September! Anyway – I’ll let the photos tell the rest of the story – we had a fun time (despite the fact that we discovered the camper fridge was not working!) and it was a good first test run! All hitched up (yes it did take a few goes and some yelling at each other!) ready for our first ever trip away with Karen Camper! 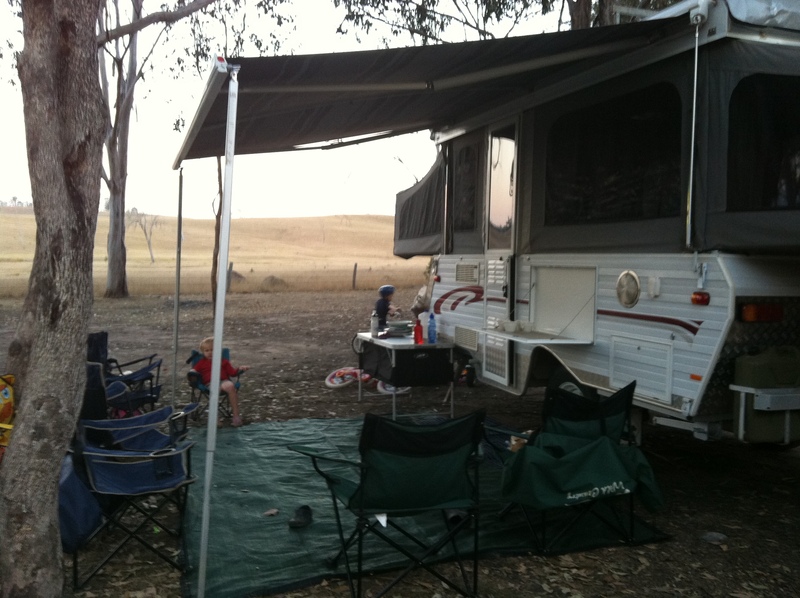 First setup – this is where we learnt that it is important to put the handbrake on the camper FIRST, before unhitching!!! 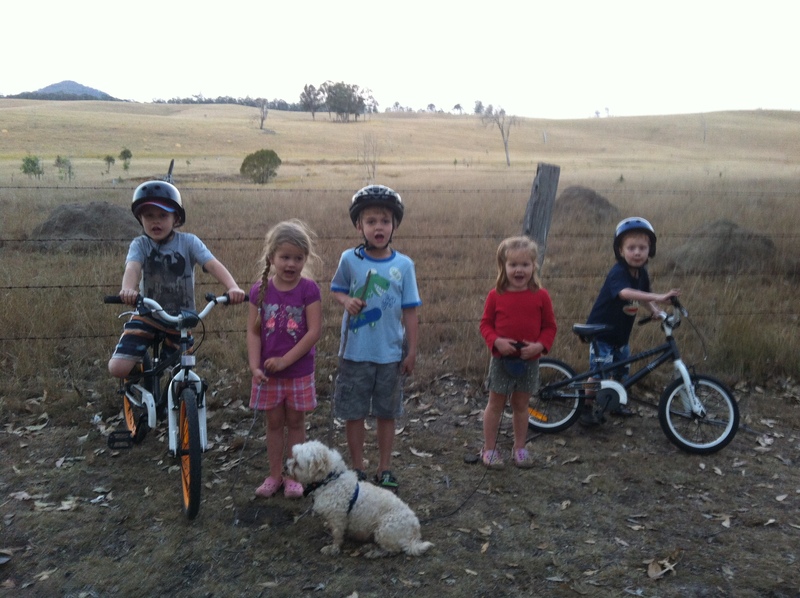 Fealy Kids terrorising the campground. 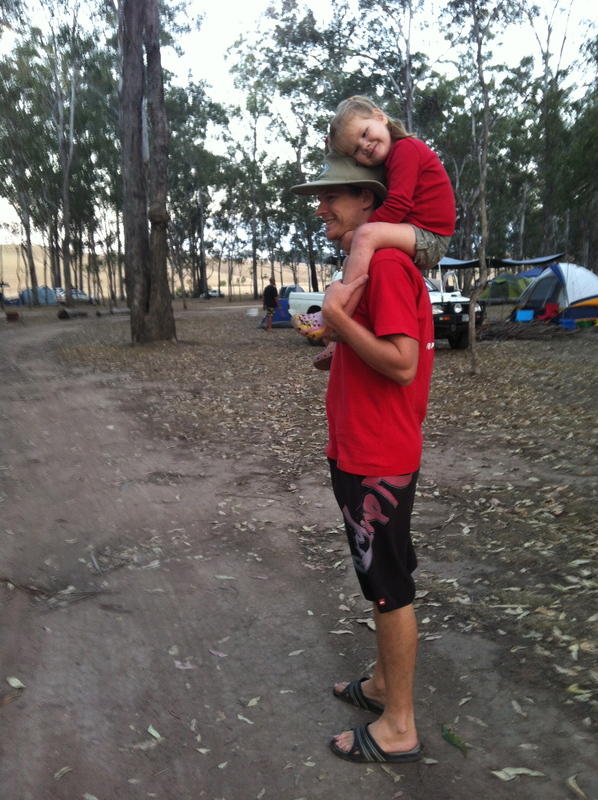 Dad and his girl off for an evening stroll around the camp. 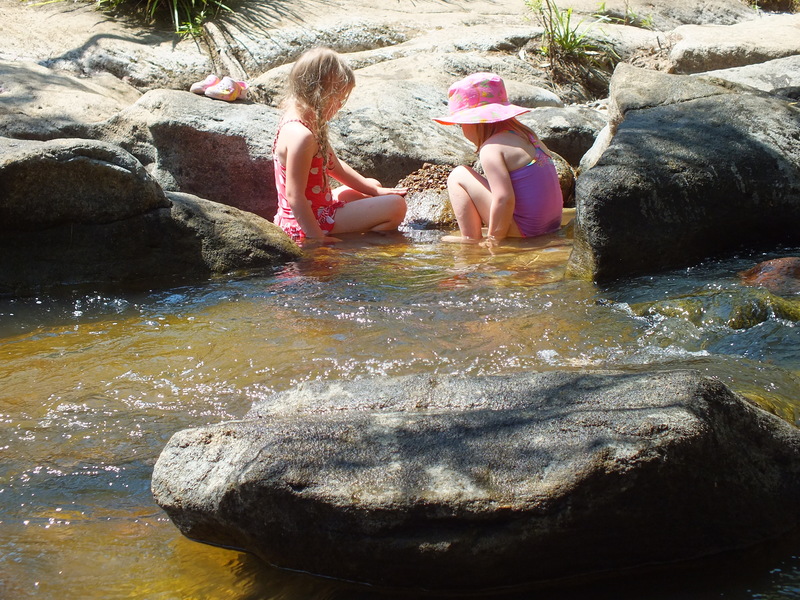 There are plenty of spots along the creek to explore and swim in. 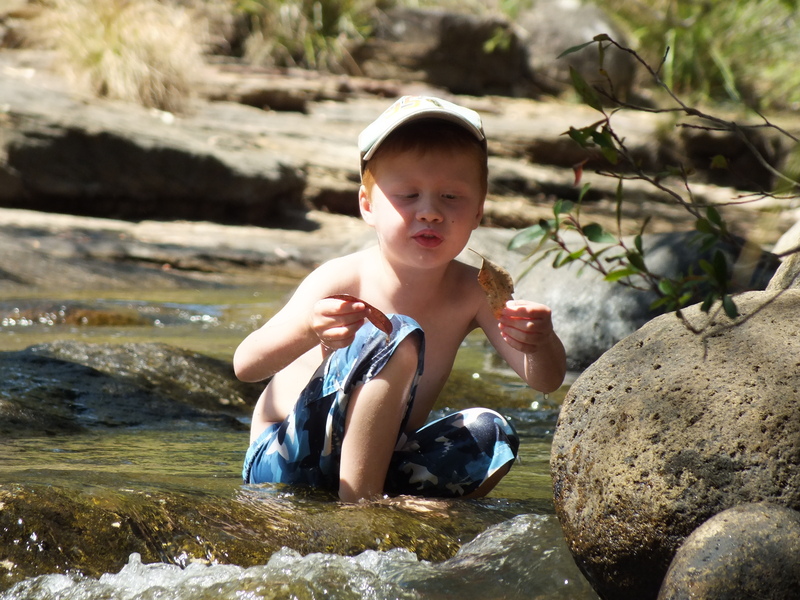 Leaf boat racing – the best fun for a boy! 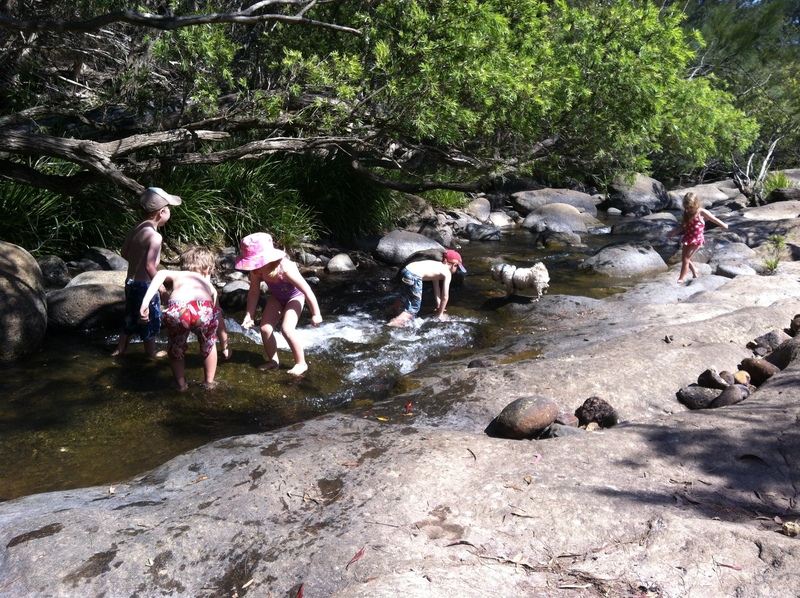 The creek does get busy but there is plenty of room for everyone. 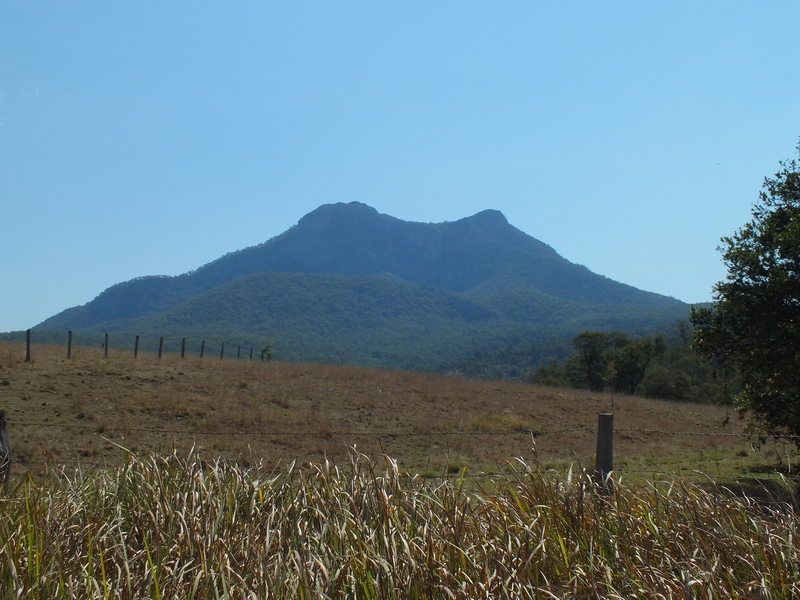 Mt Barney – plenty of hikes to be done around here but we didn’t have time to check any of them out. 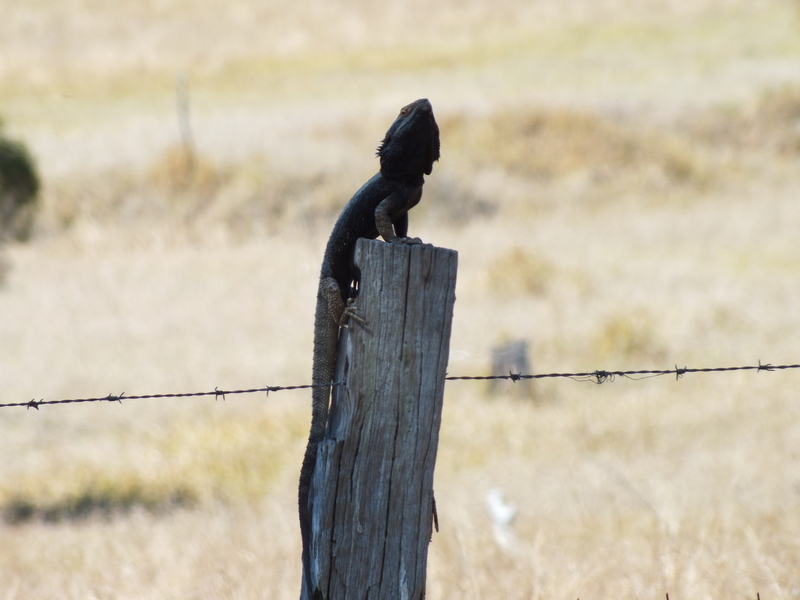 Lizard of some description! Anyone know what he is? ?